The astounding Curta is very famous, and deservedly so, for its extremely compact and pleasing design, as well as its fascinating history. The article excerpted below describes the horror that Hertzstark overcame while developing the calculator from a nazi concentration camp during World War II. 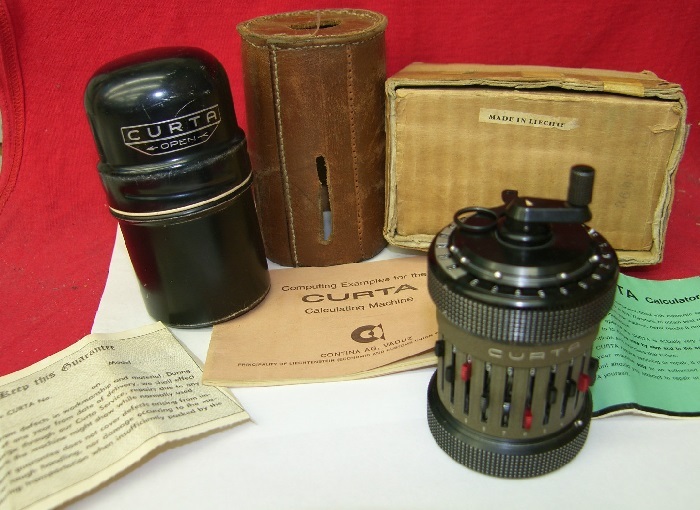 A pair of Curta demonstration model calculators with containers. These rare demonstration models were machined to expose the mechanism. The top is an earlier example, as indicated by the dome-shaped crank handle. 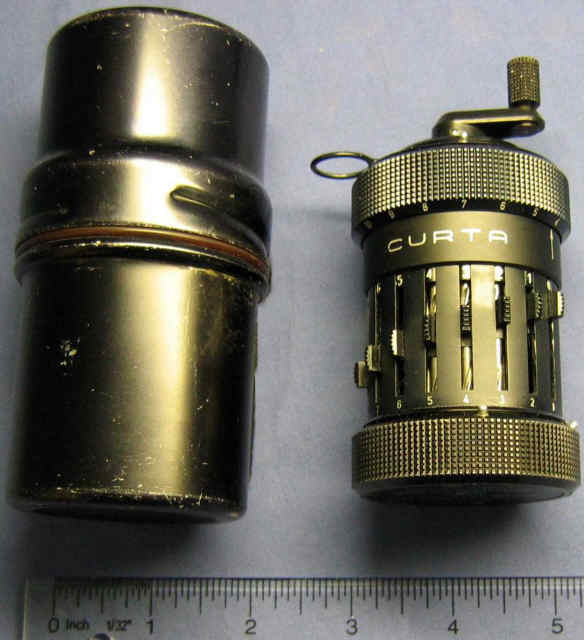 Three angled views of a Curta demonstration model calculator. Though not as small as the Curta - it packed a nice punch for its size. The famous and wonderful Cliff Stohl article in Scientific American may be available as a pdf here. There is a neat virtual reality simulator (which requires download of a viewer) here.